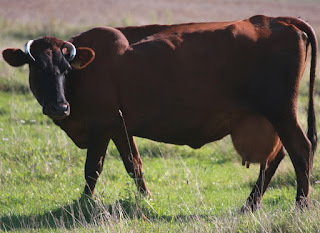 The Latvian Brown cattle is a good dairy cattle breed. Milk production of the purebred Latvian Brown cows is high. Their average milk production is about 4537 kg per lactation, but some cows produce more.